﻿The National Retail Federation (NRF) sees an increase of 4.1 percent in retail industry sales for 2015, up from the 3.5 percent growth seen in 2014. The NRF, whose research is widely watched by retail sector analysts, also announced that it expects non-store sales in 2015 to grow between 7 and 10 percent. The 4.1 percent increase would mark the biggest annual growth since 2011 when retail sales for the year increased 5.1 percent. NRF President and CEO Matthew Shay said: “We need a commitment from our leaders in Washington to pass legislation that will encourage investment, create jobs and set us on the path towards sustained, long-term economic growth. Growth in the labor market should average between 220,000 – 230,000 new jobs per month throughout the year, the NRF projects, and unemployment is expected to drop to 5 percent by year’s end. The Diamond Dealers Club (DDC) of New York welcomed hundreds of diamantaires after the holiday season to participate in the second edition of India Diamond Week in mid January. “When we introduced India Diamond Week in August, we discovered a true gem for our diamond dealers. It’s important to build on that momentum by providing shows like this for our members and participants,” said Reuven Kaufman, DDC President. In conjunction with the Gem & Jewellery Export Promotion Council (GJEPC), the Diamond Dealers Club hosted more than 70 exhibitors comprised of India-based companies and DDC members and companies. 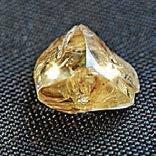 A Louisiana man found a 2.01 Carat yellow diamond at the well-known Arkansas Crater of Diamonds State Park. Dean Filppula, an offshore steward, visited the park during his vacation, which followed a rainstorm and a plowing of the search field – ideal conditions for uncovering diamonds. He found the light yellow stone, “wedge-shaped and about the size of an English pea” and is calling it the Merf Diamond, after his mother’s initials. Merf Diamond, after his mother’s initials. “His story is familiar to so many of our park visitors who have found large diamonds in the past,” said Wayman Cox, park interpreter. “More than half an inch of rain had fallen two days before his visit, washing loose soil from the surface of the diamond search area, and, no doubt, uncovering the large, yellow gem,” he said.“Anyone could have found it, but he was in the right place at the right time. The diamond is this year’s 20th find, and also the largest one found so far in 2015.” Filppula plans to sell the diamond. The strong rise in U.S. platinum jewelry imports posted in November carried on into December last year, with imports in terms of platinum-contained volume increasing almost five-fold that month from a year earlier. That led to full year platinum jewelry imports of 1,156 kilograms, a 61% increase from 719 kilograms in 2013. Close to 90% of the increase in total imports came from France, which accounted for 61% of import volumes in 2014. The strong rise in annual growth is likely to be due to heavy declines in the value of the euro, which depreciated 2.8% over the course of the month and 12% from the end of 2013. Meanwhile, gold imports rose 15% in 2014 to total 58,938 kilograms. The largest increase in imports came from Italy, as manufacturers benefitted from the euro’s weakness. The second-largest rise came from India, as the country boosted exports in an effort to comply with the government’s 80:20 scheme while it was in effect. The scheme – which aimed to ensure that most of India’s gold imports were re-exported – came to a finish at the end of last year. That said, India is the largest U.S. jewelry import partner by volume. China came in third, with imports from the country rising 10% last year. As for silver jewelry imports, they rose by 7.6% in 2014. Low markup silver jewelry, often sourced to the costume jewelry segment, is a highly competitive market. With silver’s price decline in 2014, several countries saw reductions in manufacturing and demand due to difficulty in remaining cost competitive. Thailand accounts for a substantial part of U.S. jewelry imports, accounting for a little over 40% of the total in 2014. The country saw a 13.5% increase in U.S. imports last year, which as the largest increase among the large trade partners. Hefty declines in imports were seen for Turkey, Indonesia, and Ireland, among other countries. ﻿Third through fifth grade teachers have a new colorful way to engage and excite students about geology, minerology and gemology through GIA’s new GemKids for Schools curriculum. From volcanoes to spewing lava. to digging for hidden jewels, students can roll up their sleeves to discover science lessons hidden deep within the Earth. Best of all, this cross-curriculum and standard based program is free to download. Created by GIA, the global leader in gemological education and research since 1931, GemKids for Schools provides students with big-picture connections between nature, human industry,arts, and culture. The program covers how gems are formed in nature, the different methods used to mine them, how civilizations have valued gems throughout history, and much more. By studying gems, students will explore the history of our planet, have more conversations about the intersecting worlds of business and culture, and better understand the changing definitions of beauty and value. 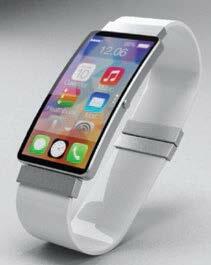 Ben Smithee, a consumer-trends expert who was nominated as one of the ‘Top 10 Youth Marketing Professionals in the U.S.’, will deliver the keynote presentation on wearable technology and other "disruptive" trends at MJSA Expo New York, March 8-10 at the Hilton New York. The MJSA is the Manufacturing Jewelers & Suppliers of America. Smithee’s session, “The Cyborg Consumer: From Wearable Tech to 3-D Printing,” will anchor a seminar program that also includes renowned educator Blaine Lewis of the New Approach School in Franklin, Tennessee; pricing guru David Geller of Jeweler Profit in Atlanta; gemologist/author Antoinette Matlins, co-author of Gem Identification Made Easy: A Hands-on Guide to More Confident Buying and Selling; and marketing expert Chris Ciunci of TribalVision in Providence, Rhode Island. The program was developed and sponsored by the MJSA Education Foundation. Expo will also feature three special educational events, including a special MJSA Journal Live in which the latest welding and CAD/CAM technologies will be available for testing and comparison. “Attendees have told us that the educational program is a vital part of the Expo experience, and they rely on it to keep them informed and inspired,” says MJSA President/CEO David W. Cochran. “This year’s program has been developed to not just meet but exceed those expectations, covering everything from the latest revolutionary technologies to crucial technical and marketing practices." Smithee’s keynote presentation on March 9 will focus on the new era of technology-driven production and consumption, in which jewelry can monitor its wearer’s health and 3-D printing is changing the way jewelry is made. A sought-after consultant and speaker in consumer trends, buyer behavior, technology, and marketing, Smithee has worked with Coca-Cola, McDonalds, Rio Tinto Diamonds, and leading U.S. retail jewelry brands, among others. Meanwhile, Lewis, known for his innovative teaching methods, will give an ‘At the Bench Live’ presentation on how to set marquise, pear-shaped, and other sharpangled gems that are coming back into fashion. As for Geller, his Blue Book to Jewelry Repair & Design has become the pricing guide for more than 3,000 stores internationally. Geller will offer his insights into how to properly price and profit from custom design and repair work, ensuring all costs are covered and margins remain high. Well-known diamantaire Matlins, a popular guest on such programs as ABC’s Good Morning America, CBS’s This Morning, and NBC’s Today, will give Expo attendees lessons in how to buy and sell colored gems as well as how to identify enhanced gems and synthetics. Ciunci will present on ‘Market Smarter,’ in which he’ll explain how to develop a strategic plan, generate leads, and boost revenue. All of the sessions will take place on the third floor of Expo New York. • MJSA Journal Live, in which the pages of the association’s flagship magazine come to life, will offer attendees the opportunity to try out and compare the latest CAD/CAM and welding technologies. This is the first time all of the technologies will be presented side by side. • Custom jeweler Joel McFadden will lead Jewelry Making 101 (and Beyond), offering instruction in bench work from beginner to advanced levels. This year’s sessions, all of which will take place March 9, include ‘Level One: Working with Different Metals’, ‘Level Two: Sawing and Piercing, and ‘Level Three: Tricks for Everyone’. • Leading industry experts—Ben Janowski of Janos Consultants, Cindy Edelstein of the Jeweler’s Resource Bureau, Eugene Brill of Jewelry.com, and Matthew Perosi of the Jewelry Website Advisory Group—will be available for informal, one-onone ‘Ask the Expert’ sessions on March 8 and 9.